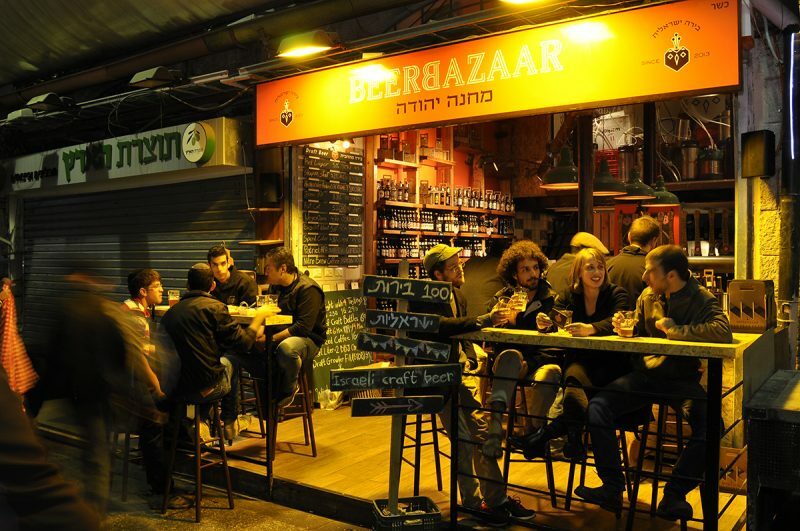 Same concept as a pub crawl, but here we’re hitting up the kosher meat restaurants in the Machane Yehuda market in Jerusalem for food and drinks! I just did my first Shuk Crawl (#shukcrawl) for my birthday celebration, I want to recommend a full meal that can make your very own Shuk Crawl amazing. The reason I had so much fun is because all of the new and cool restaurants that have opened up around the Machane Yehuda market. If you decide to go on your own Shuk Crawl, make sure you come hungry and wear comfortable shoes. Since the shuk is a pretty big area and usually packed, I recommend doing it at night when most of the other stalls are closed. You really need to start the crawl at the Beer Bazaar, the food is that good! I would recommend to have either the chopped liver or the beef jerky. 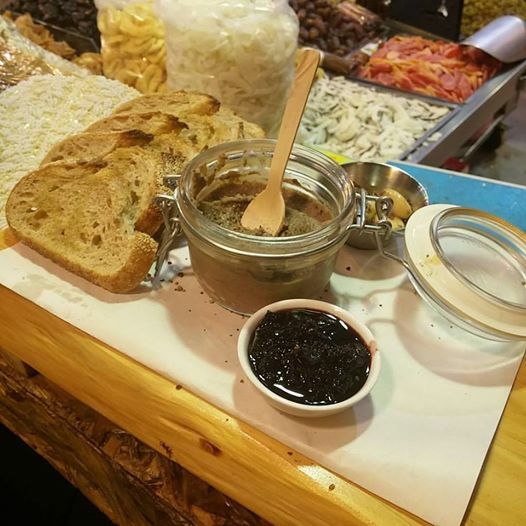 The chopped liver is super creamy made with chestnuts and chicken livers, accompanied with a cherry jam, garlic confit and toast made from fresh bread. The beef jerky is also made from scratch by Chef Chaim (who is known in Israel as Mr. Jerky) which is just perfect. Both dishes are amazing, especially if you pair it with a beer from Jem’s brewery like the 8.8 Belgian ale. A great way to kick off your meal. The other appetizer options I would recommend are the nachos and chili. The chili is made from scratch with a dark ale and slow cooks for hours. Order the same beer to go with the chili, it’s an amazing beer! Either dish is a great dish to start your night! 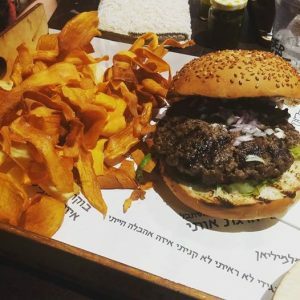 Burger Market is a new hamburger restaurant that just opened up right outside the shuk. For 50 shekel you get a perfectly cooked burger, hand cut fries, and a beer or a cold drink. The condiments that accompany the burgers are delicious, especially the coriander aioli. This was the first time I tried it and both the burger & fries were super unique. The fries are cut into boat shapes so the sauces stay on, and the sweet potato fries are thin cut and are very crispy. 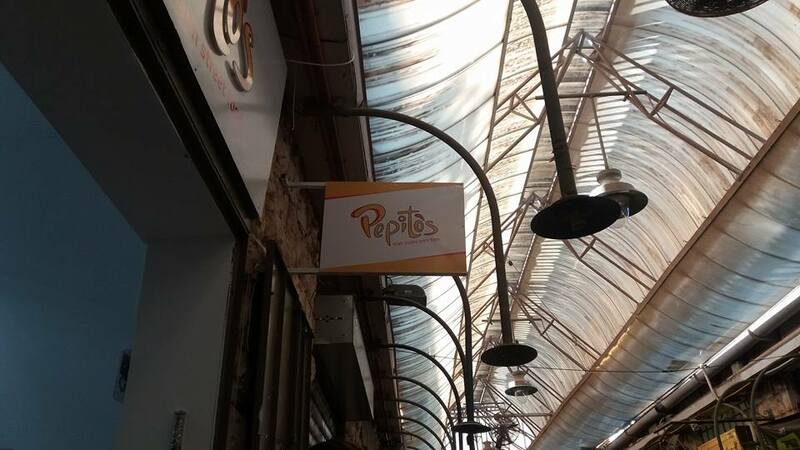 Pepitos, is located within the roofed part of the shuk down the block from Fish and Chips. 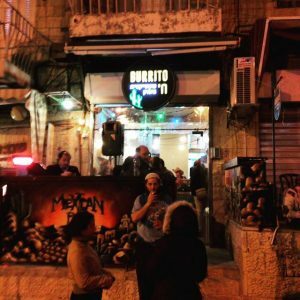 A new sandwich joint that brings the street food from South America right to the streets of Jerusalem. Try the La Bomba sandwich, it has literally everything and the kitchen sink in it – 3 types of deli meat, guacamole, a fried egg, potato chips and so much more, in a toasted bun. 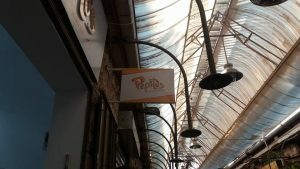 The prices are very friendly (28-35 shekels) and they have a variety of other sandwiches to try from. Open less than a year, Burrito Chai is the first kosher Mexican place to open in the Jerusalem. You will find many different types of burrito options: breakfast burritos, open faced burritos, tacos, tostadas and many more! I recommend trying the original Burrito Chai dish filled with either beef or chicken. The prices are super reasonable and on some nights you can enjoy live mariachi music too! 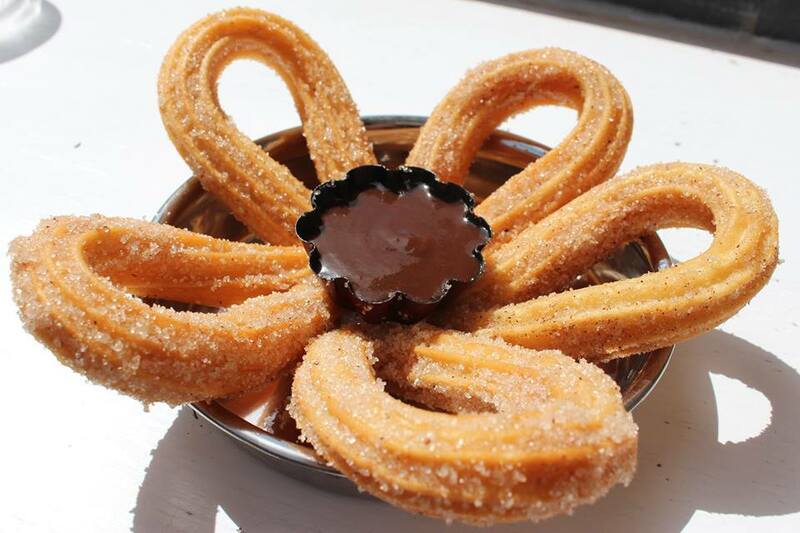 If you do find yourself enjoying your meal at Burrito Chai, try the churros for dessert with the chocolate sauce. Crispy, crunchy, and super sweet! To wrap up your meal, go and enjoy an ice cold sorbet made from fresh fruit at Mousseline. 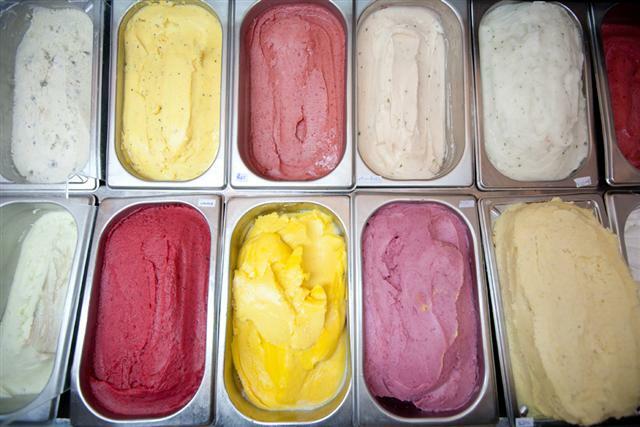 The variety of sorbet isn’t the largest, but each flavor is unique and delicious. 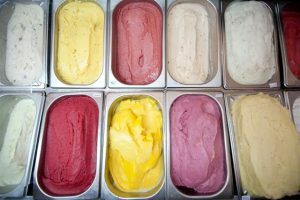 The truly unique flavors include: grapefruit or basil sorbet, but all the other flavors like strawberry, mango, lemon and many others are amazing. The sorbet is the perfect sweet finish for the perfect Shuk Crawl!